Think first and win… and take care around construction sites! It’s an exciting time to be at UC as we’ve got a few building projects on the go that will provide you with modern learning spaces and some of the latest technology. While these buildings are still construction sites, please take care when you’re near them. 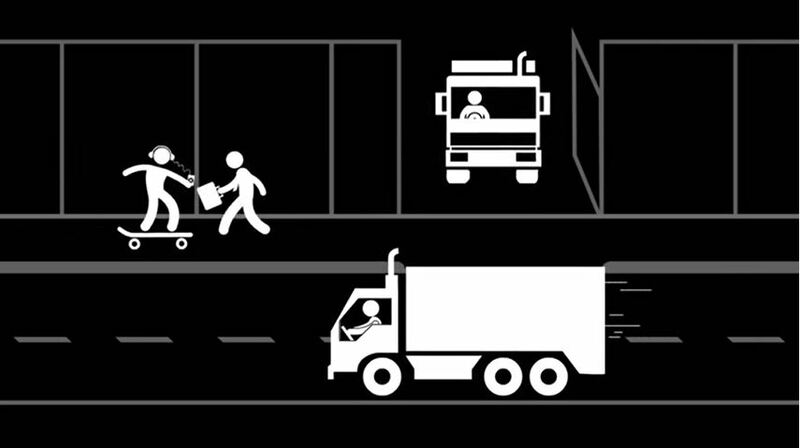 Watch out for trucks and other construction vehicles coming and going – especially when you’re near a site entrance. Follow any detours in place near building sites, and if traffic management staff are present follow their instructions. Whether you’re walking, biking, skateboarding or driving near a construction site on campus, slow down and look out for others. Kia mataara. He wāhi whakatū whare tēnei. Take care around construction sites on campus. Think first. …a Think first reusable coffee cup and a $10 voucher for UCSA food outlets. Simply tell us two building projects that are currently under construction on campus – hint, go to www.canterbury.ac.nz/capitalworks/ and look under the ‘Current Projects’ section. Email communications@canterbury.ac.nz with your answers by 5pm, Friday 22 September. Use the subject line ‘Think first competition’. Two winners will be drawn randomly on Monday 25 September. Keep an eye on the Insider’s Guide to find out if it’s you. Entering the competition is deemed to be an acceptance of these Terms and Conditions. The competition runs from the time this blog is published on the Insider’s Guide to UC blog until 5pm, 22 September 2017. Entry is open to any current UC student. A valid student ID will be required to claim your prize. Two random winners will be drawn on Monday 25 September 2017. Answers given on the entry must be correct or there will be a redraw. The names of the winners will be published on the Insider’s Guide blog and may be published again in the Insider’s Guide newsletter. Winners will also be contacted directly by email. Campus TransformationcompetitionConstruction sitesHealth and safetyThink first. With so much student accommodation nearby, Homestead Lane is busy at the best of times, with buses, cars, pedestrians and cyclists. When construction traffic is added to this mix, it is really important to stick to the 30km per hour speed limit along the whole length of the road. If you are driving along Homestead Lane, please take extra care to ensure the safety of yourself and others by adhering to this speed limit. It’s super busy out there! Whether you’re walking, cycling, skateboarding or driving keep an eye on those around you to avoid any collisions. And if you’re travelling near a construction site, be extra vigilant – you never know what’s around the corner. Take care around construction sites on campus. Kia mataara!